Suitable for everybody. Capture with your camera or your cell phone incredible landscapes or beautiful butterflies. 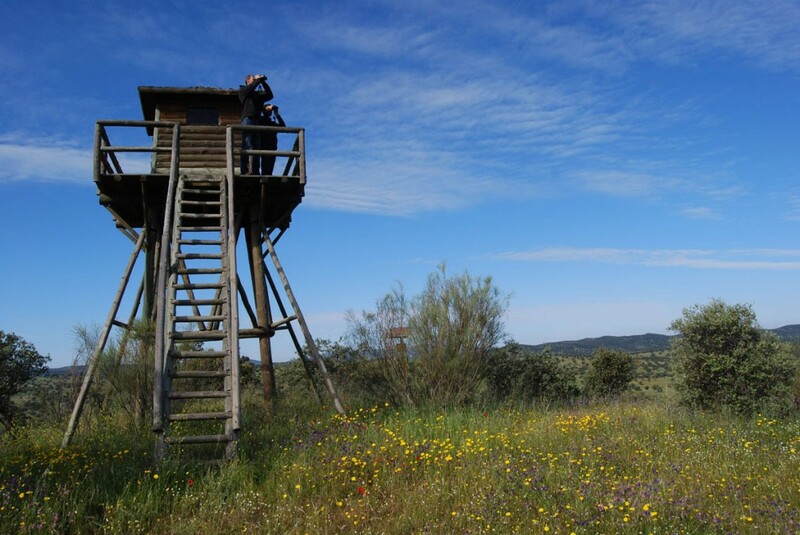 If you want to go further and you are willing to spend hours waiting for birds to get closer, in Castilseras you have photographic hides available, from where you can take amazing photographs of birds and mammals species that haunt these lands. Enjoy our photographic hides, perfectly conditioned for bird photography. Griffon Voltures, Black and Egyptian ones… and occasionally the Golden and the Spanish Imperial Eagle. A large hide perfectly equipped for 4 photographers, with high quality spy glass. The muladar is operating all year round. You also have the possibility to sleep inside. Ask our guides for more information. 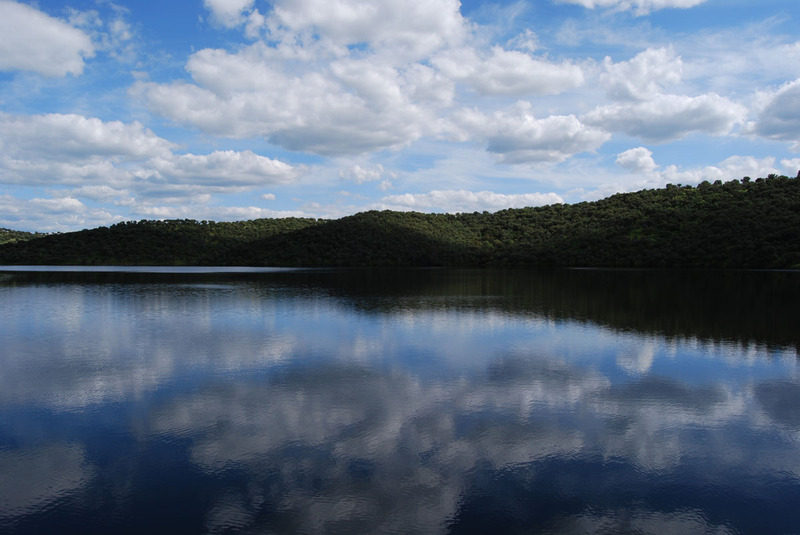 Located in the two reservoirs of the Dehesa, you will enjoy spectacular images of species that frequent our wetlands. All facilities for the filming of wildlife available to documentaries and movies filming Producer and Companies. In Dehesa de Castilseras you will enjoy spectacular landscapes and a wide variety of fauna, botanical and geological species too. It is not uncommon to find Foxes (Vulpes vulpes) Deers (Cervus elaphus) or Wild Boars (Sus scrofa) and birds as unique as the Bonelli’s Eagle (Aquila fasciata), the Black Vulture (Aegypius monachus), the Black Stork (Ciconia nigra) or the Iberian Magpie (Cyanopica cooki). In addition, botanical species and the topography of the place make this tour an adventure full of surprises for the hiker. Route1: Around Sierra of Cordoneros and Castilseras Reservoir. Route 2: The Dehesa and steppe. The Iberian habitats by excellence. Route 3: The grove of the banks. The linear forest.